Head – Warana Co-operative Industrial & Educational Complex. 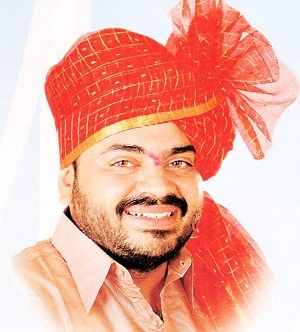 MLA – Shahuwadi – Panhala Legislative Assembly. Founder President – Jansurajyashakti Political Party. Founder – Surajya Foundation, Warananagar. Warana Nagar is a unique place which has brought the Revolution in Rural area through Co-operative movement. The vast industrial and educational complex emerged out from the great vision of Hon’ Shri. Tatyasaheb Kore, which includes Sugar Factory, Refinary, Warana Bazar, Warana Dairy, Food processing Industry, Manufacturing of various Agro-chemicals, Organic manures etc. None the less Warananagar also shelters the educational facilities, right from KG to PG which includes Arts, Science, Commerce, Engineering, Pharmacy, Shri. Vinayraoji Kore Competitive Exam Centre, Pre-primary, Primary , Secondary and Higher Secondary education. As far as Shree Warana Vibhag Shikshan Mandal is considered, the Senior and Junior college Yashwantrao Chavan Warana Mahavidyalaya has been accreditated and reaccreditated by NAAC with 2.86 CGPA with ‘B’ grade. The college has produced very good ‘Alumni’ which has been spread not only in India but Abroad also. College also provides very good curricular and co-curricular support to the students for their overall development to create a ‘New Man’ in this technological era. Being a President of this Institution I feel very proud of this College and I offer my ‘Best Wishes’ to the same.